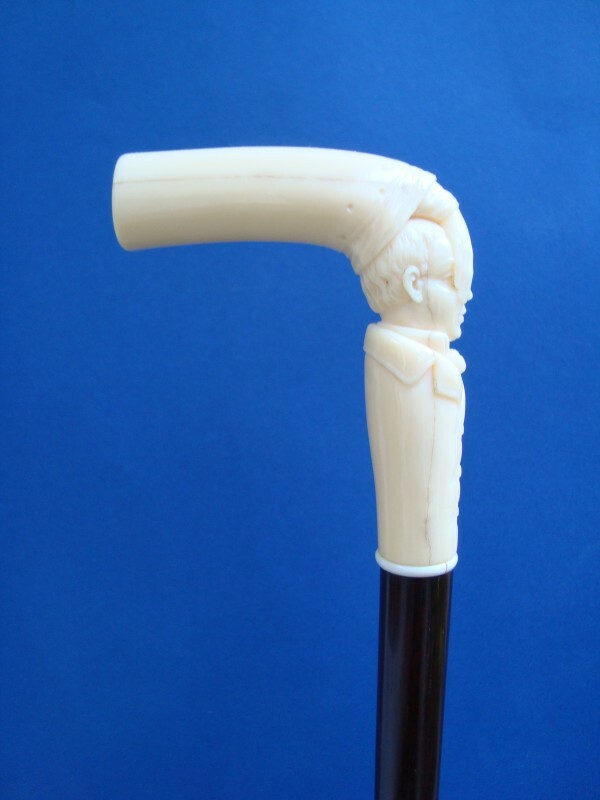 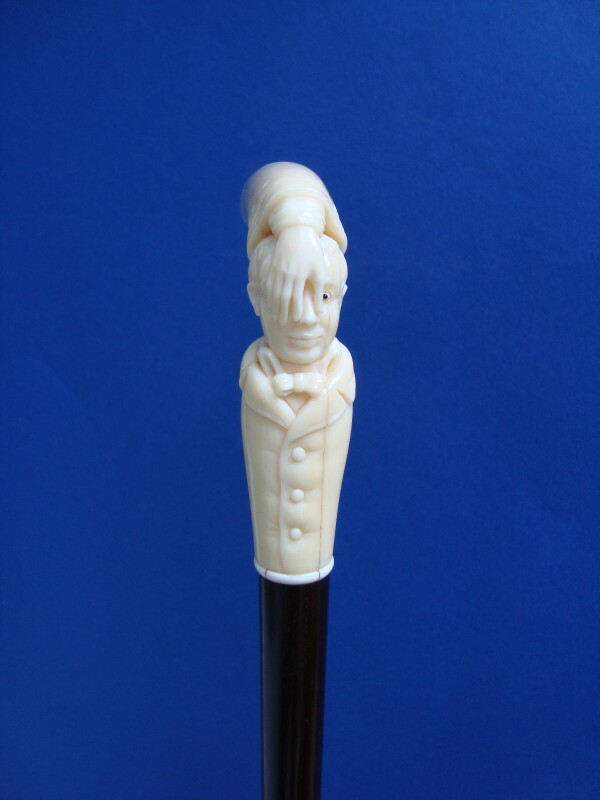 A proverb cane of the biedermeier period,Germany 1st half 19th century. 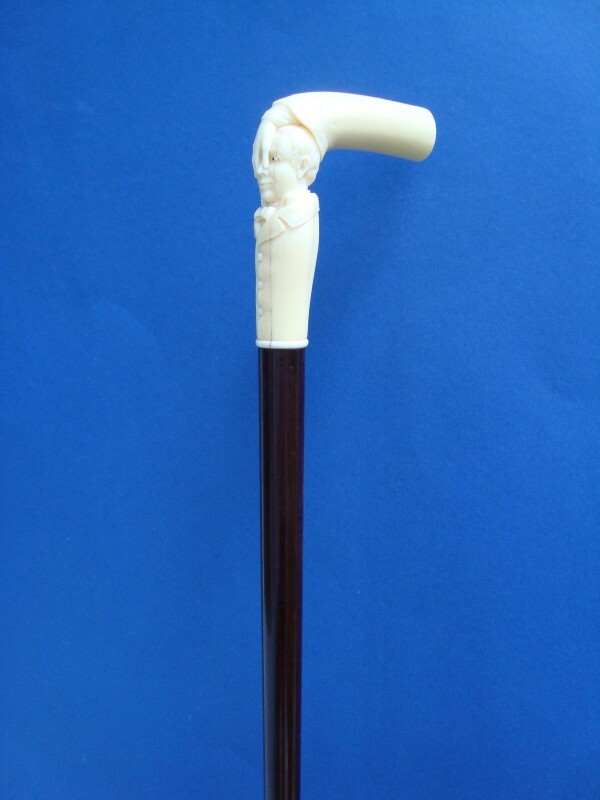 "Do let not yourselves make fool". 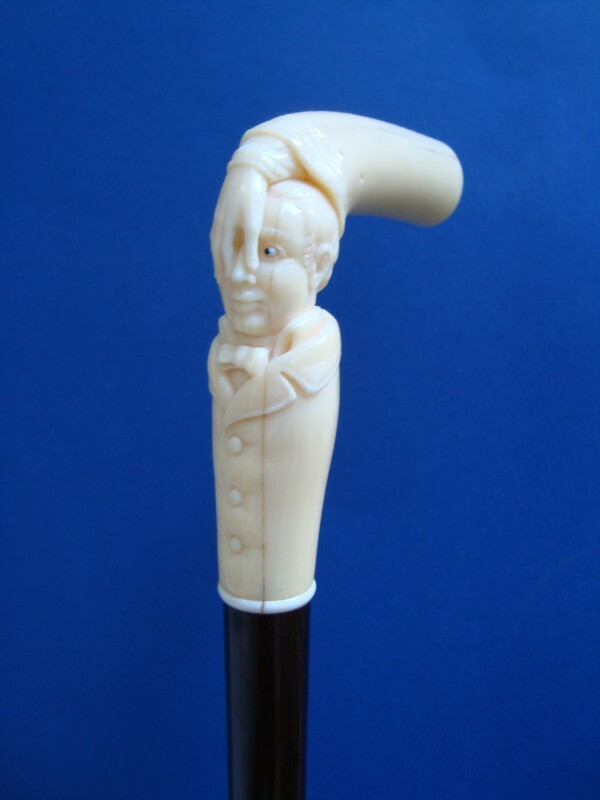 From the end of the ivory handle coming a hand with sleeve cuff gripping the nose of an elegant man with jacket and fly catching. 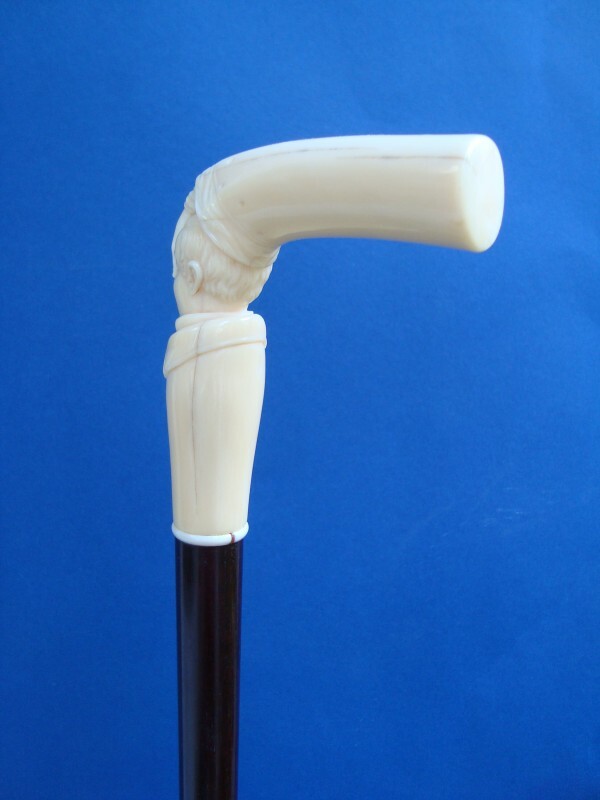 The handle is ffitted on a snakewood shaft. 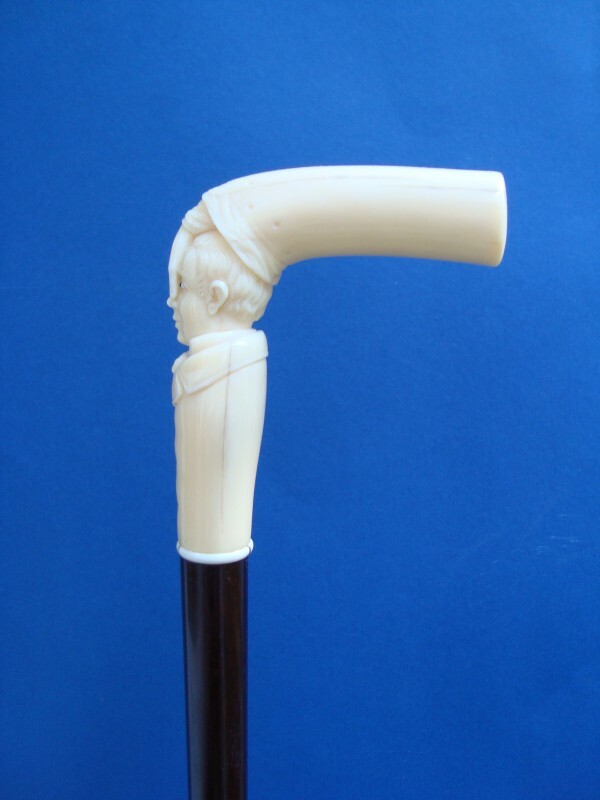 Measures of the handle: H. 9,5 cm, 3,7", W. 6,5 cm, 2,5", overall length 92 cm, 36".